Annabelle is releasing a total of 7 (!!!!) 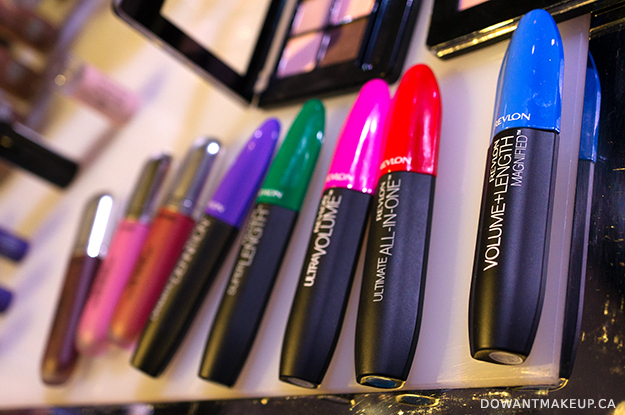 mascaras this year for every lash need out there, including a waterproof version of their Big Show mascara. 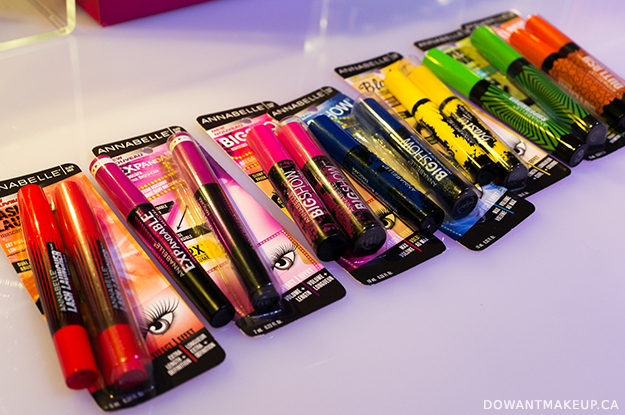 I'm most into the Blast Off mascara (bright yellow packaging), which is a lengthening and curling mascara. I wasn't able to get good photos of their other upcoming releases, which include a smooth gel lip liner, and more TwistUp Lipstick Crayons in super-shimmery metalic shades. 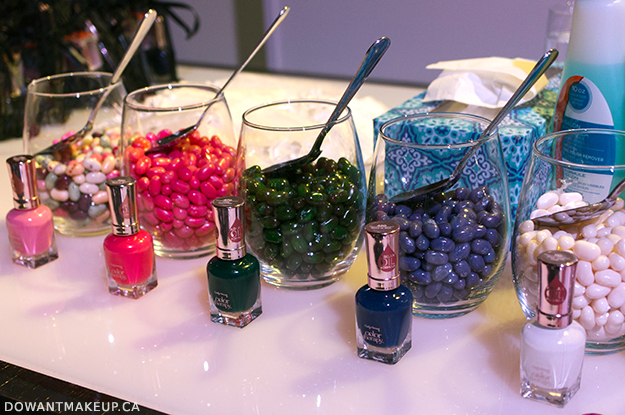 London Drugs will be expanding the range of e.l.f. 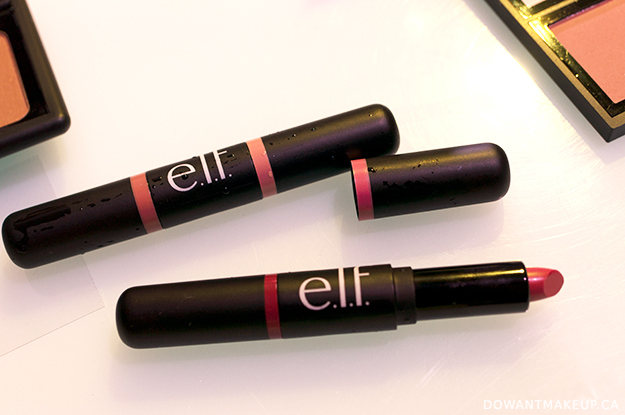 products they currently carry, including e.l.f. makeup brushes. New this year are these double-ended Day To Night lipstick duos in four different shades. e.l.f. 's blush/bronzer duo has gotten a lot of love since it was first introduced, and now they're adding a four-pan contour/highlighting palette to the lineup. Kiss NY Pro is a new NY-based brand with a Korean beauty aesthetic. 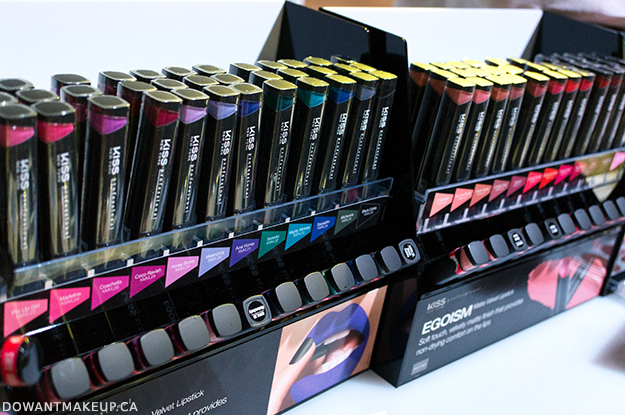 I am so excited about the Egoism Matte Velvet lipsticks, which come in a variety of conventional colours, plus stunning shades like lavender, teal, navy, and black (I posted a few swatches on Instagram). 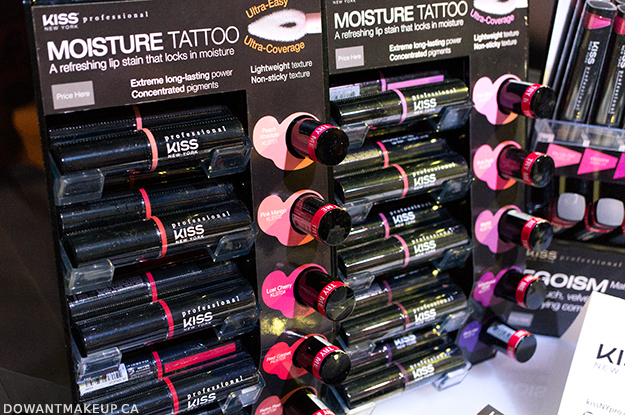 And because you can never have enough lip product: there's also the Moisture Tattoo, pigmented lip stains in high-gloss shades. Unfortunately we will have to wait until September-ish for Kiss NY Pro to start getting carried in London Drugs stores! 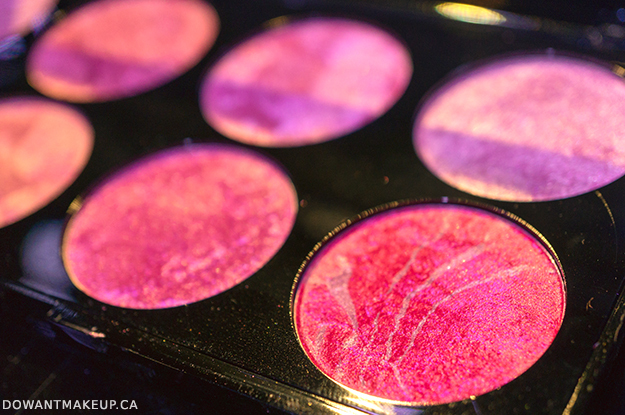 Makeup Revolution is another exciting new brand coming to London Drugs. 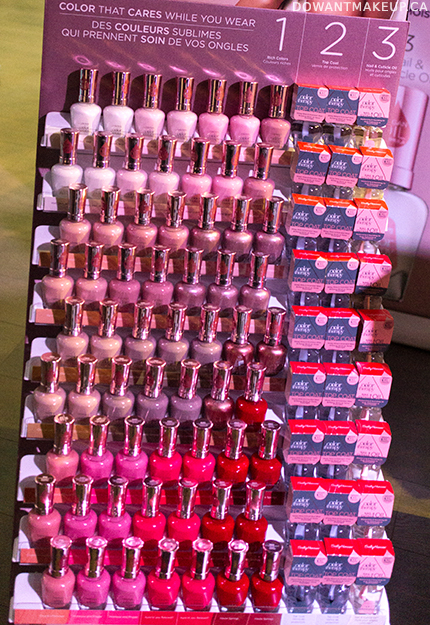 The UK-based brand was really popular at the Beauty Event because they had so many gorgeous products. 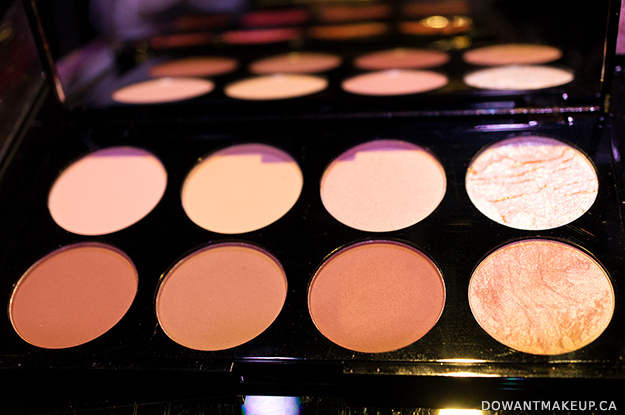 Above is a shot of one of their 8-pan baked blush palettes. 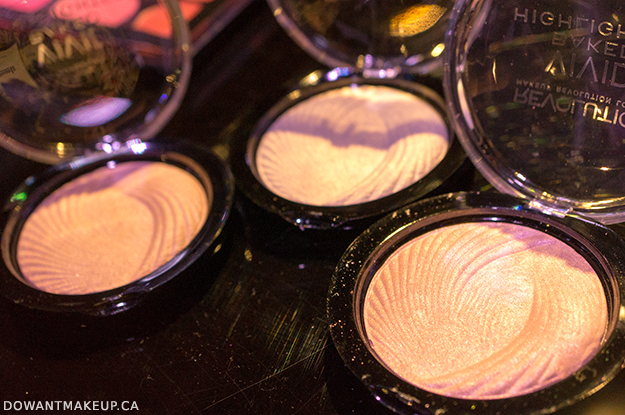 For major glow, there is also the Vivid Baked Highlighters in three shades. Or get two baked highlighters (as well as six other contour/highlighting shades) in one package with their Ultra Contour Palette. For eyeshadow fiends, there are a number of large 18+ shade palettes. 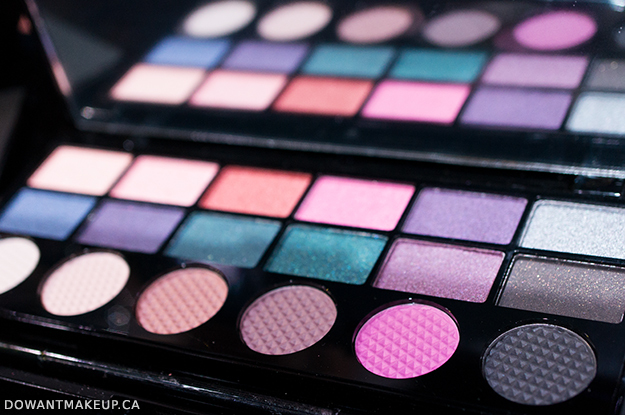 Above is one of the Salvation Eyeshadow Palettes in the Unicorns Unite colourway. 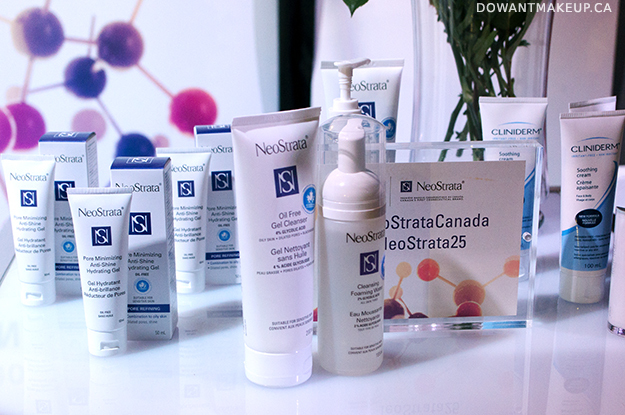 You guys know I am a big fan of NeoStrata's Glycolic Renewal line, which I was introduced to at last year's Beauty Event. This year, a number of new products have been/will be introduced, including All-in-One serums with retinol, and four new face cleansing products. 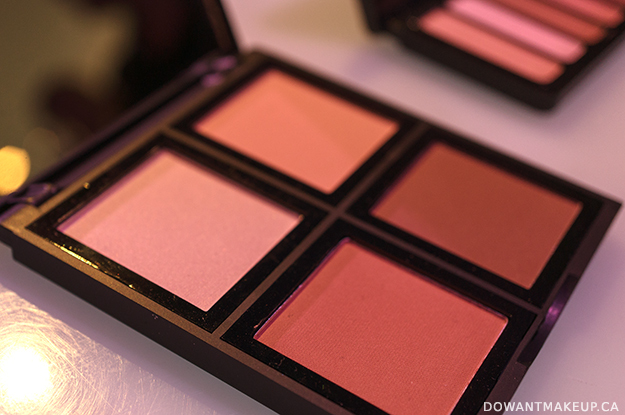 A bunch of us fell head over heels for the new Ombre Blushes from NYX. The display blushes they had out were so pretty. However, a couple of bloggers (including me) have since discovered that the Ombre Blush samples we took home from the event have very little ombre effect. 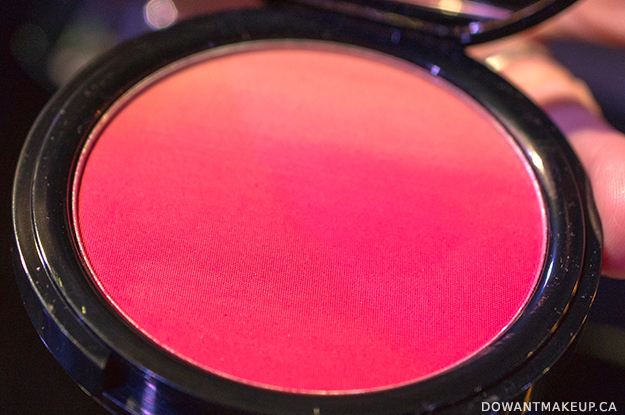 I'm still excited to test it, but I'm glad I got this shot at the event as the blush I took home doesn't look like this. 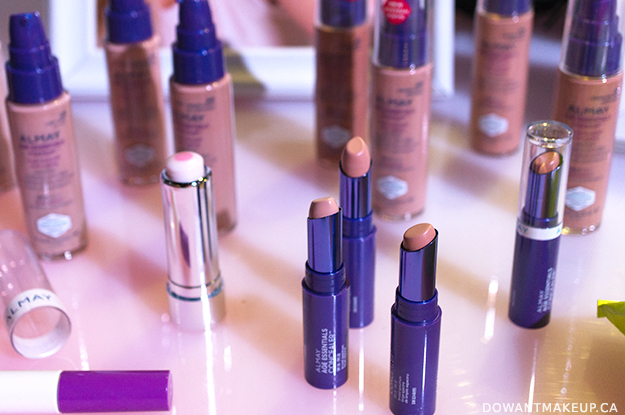 The new Almay Age Essentials line features a foundation with SPF, a creamy stick concealer, and a lip treatment (the white bullet with a spot in the middle). 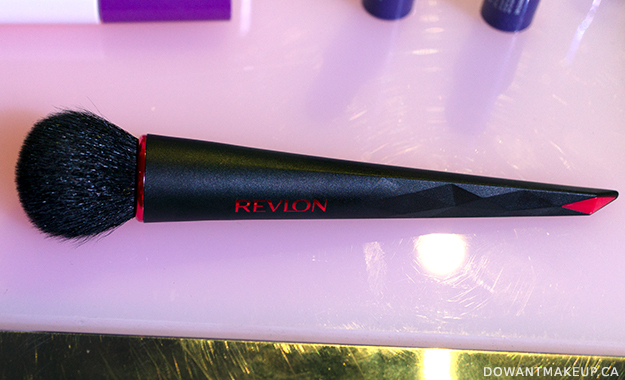 More mascara: Revlon has five new mascaras this year, including the Ultimate All-in-One mascara (red cap) that volumizes, defines, lifts, and lengthens. I am really excited about the new line of makeup brushes coming out from Revlon, but unfortunately they didn't include any info about this in our press booklet :( I recall that there are 10-11 brushes total for face, eyes, and lips (above is a blush brush). They had a nice weight and feel to them, and a featured a cool geometric pattern on the handle.